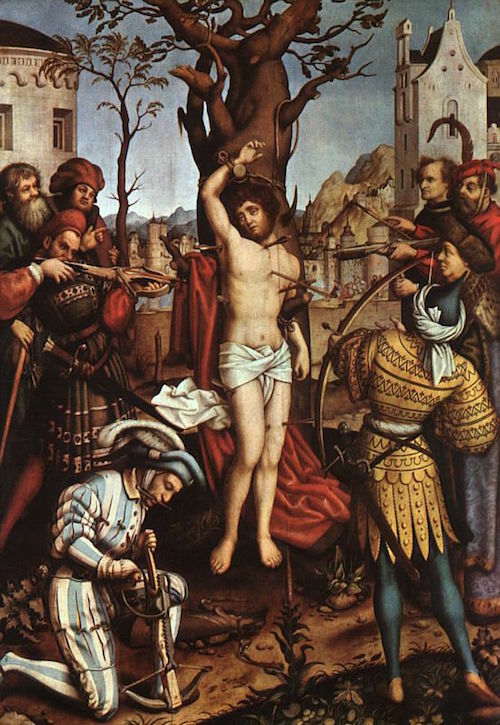 The twin brothers were released but later rearrested and died after being nailed together on a cross and then stabbed. “St. 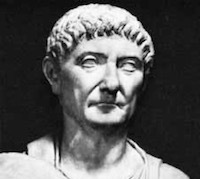 Sebastian, having sent so many martyrs to heaven before him, was himself impeached before the Emperor Diocletian (284-305), who…delivered him over to certain archers of Mauritania (country in western Africa), to be shot to death. His body was covered with arrows and left for dead. Irene the widow of Castulus, going to bury him, found him still alive and took him to her lodgings, where…he recovered his wounds, but refused to flee and even placed himself one day by a staircase where the Emperor Diocletian was to pass, whom he…accosted, reproaching him for his unjust cruelties against the Christians. 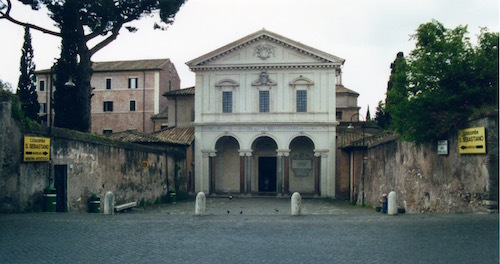 After his death in c. 288, Sebastian’s body was placed in the catacombs, since named after him, where the remains of Peter and Paul had once been. 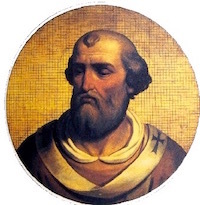 In 826 Pope Eugene (Eugenius) gave Sebastian’s body to the Abbot of St. Denys in France. Pope Sergius later gave Sebastian’s head to St. Willibrord in Luxemburg. 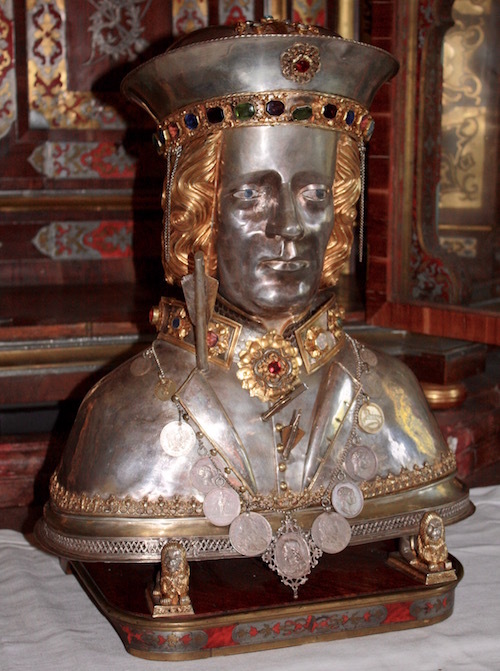 Other relics of Sebastian and parts of his body are scattered all over Europe: in Paris, Mantua, Malacca, Seville, Toulouse, Munich, Tournay, Antwerp and in a chapel in Brussels.